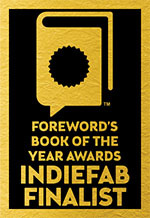 Visibly Struck has been named a Foreward Reviews BOOK OF THE YEAR - Finalist Religious Fiction! Visibly Struck has won a Silver Medal in the 2014 Feathered Quill Book Awards. VISIBLY STRUCK recieves 5 out of 5 stars! Read about it HERE! 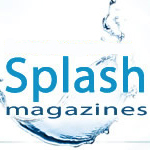 VISIBLY STRUCK was selected for inclusion in SPLASH Magazines' 2013 Book Gift Guide and SPLASH Magazines' 2013 Holiday Gift Guide! Click HERE to see the Book Gift Guide! Click HERE to see the Holiday Gift Guide! 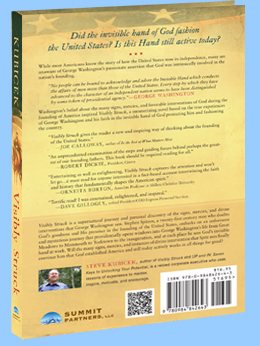 “Steve Kubicek moves seamlessly between Biblical and American history to weave a story line that is both compelling and exciting. The result is an unprecedented examination of the steps and guiding forces behind perhaps the greatest of our founding fathers. This book should be required reading for all, especially those who doubt this great nation was not formed from a divine charter. In God we trust indeed!"